Back at the end of August, I decided to take the plunge with taking my sewing skills to the next level and signed myself up for a dressmaking course. For those of you who don’t stop by the blog often, up until now I have been completely self (youtube and blog) taught and have been surprisingly pleased with how much you can learn if you just give stuff a go. However, I thought it would be good to take the opportunity to see how the professionals do it, and also to make sure I am not picking up too many bad habits along the way. For me, the main objective was to learn more about fitting. I have had some success at making clothes, but have always steered clear of things with a fitted bodice due to my bust size. As a result, I decided to take on the Collette patterns Moneta dress so that I could learn some more about bodice fitting. So, now that class is over, I wanted to take some time to reflect – here’s a quick retrospective! I got to see what projects other people are tackling, which gave me the confidence to give some different styles a go. One lady was making a trench coat, and another a winter coat out of cashmere – this gave me something to aspire to! 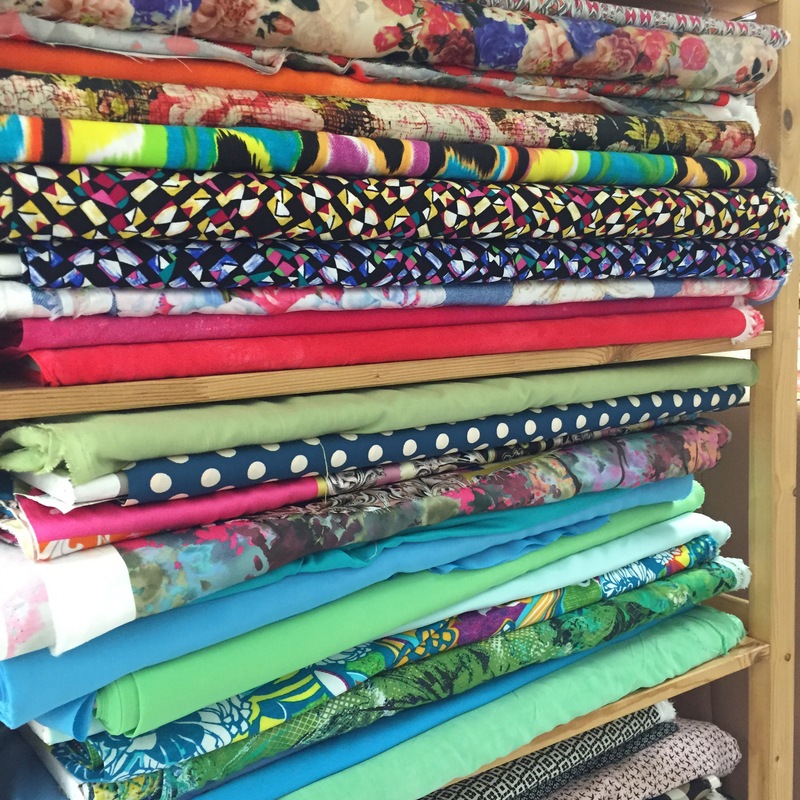 Sewing in a sewing shop is great because you never have to worry about not having everything you need! Discovering that once you know some things about sewing, it’s ok to not always follow the pattern exactly – sometimes you might know a better way to do something! The cost. Sewing in a sewing shop with a “tab” system where you are only allowed to use materials from the shop is perilously dangerous for your bank account. Things can add up quite easily! Thinking back and realising that I could have bought the overlock machine I’ve been coveting for what I’ve spent between the course fee and materials was a bit sobering. Transporting my sewing machine and all my stuff to class on the train. I did not buy my Pfaff with transport in mind and she is HEAVY. Getting home very late on a Tuesday evening. My bust fitting issues can sometimes be fitted with some well-placed bust darts, and now I know where and how to add them. So all in all I think I learned a lot which will help me when sewing in the future, and I’m glad I went. I think I’m going to take a break from the evening classes for a while and maybe the next time I go to a class look for something on the weekend. This will eliminate much of my late evening, sewing machine carrying grumpiness. It would be so lovely to make some sewing friends here in Frankfurt, I think it’s worth it for that alone! So that’s my sewing class retrospective wrapped up – more on the actual garment and sewing process next time! How about you, have you visited a sewing class? Do you love sewing in the comfort of your own home, or getting out and about?